Last week, Apple announced that iOS 4.1 fixes the performance issues on the iPhone 3G. In the video above, there shoots up a hot showdown on the iPhone 3G - iOS 4.0 vs iOS 4.1. Read on for the results. Swirlyscreen is a great feature loaded lock screen for the iPod Touch and iPhone, which has a whole lot of great features like voice read alert messages, weather alerts, analog clock, photo slideshow. SwirlyScreen 2.1 is available on the Cydia for $1.99 via the BigBoss Repo but if you want it for free click here. Video Streaming: Apple TV is based on a rental service instead of buy-sell service. This means users can rent HDTV movies at a price of $4.99 and HDTV shows from Fox and ABC will be available for $0.99. Users can also stream video content from Netflix, YouTube and access images from Flickr. iOS Integration: Apple TV does not run on iOS. It is integrated with iOS devices using the new AirPlay technology so that users can stream multimedia from any iDevice running iOS 4.2 or later. Remote Access: Apple TV comes with an Apple Remote for remote access. You can also use the Remote App for the iPhone and iPod Touch which will help you control Apple TV using your iDevice. 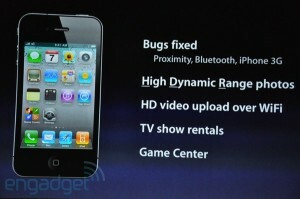 * Proximity sensor,Bluetooth and iPhone 3G bug fixes. * High Dynamic Range Photos. * HD video uploads over WiFi. A pretty intresting Cydia app called Synchronicity was released a few days ago. Synchronicity enables you to use your iDevice while syncing with iTunes. Synchronicity works on any iOS device running firmware 4.0 or 4.0.1.Synchronicity is available from Cydia for $2.00 via BigBoss repo. FOR : One-of-a-kind, Great Functionality. AGAINST : Not a freeware. VERDICT : Great app with some great potential. Don't forget to check out the video after the jump. Netflix has been finally released to support both the iPod Touch and iPhone. It is now available at the App Store for free.Netflix for iPhone and iPod Touch works well over Wi-Fi as well as over 3G. With the Netflix app you can directly stream video from Netflix with a subscription starting at $ 8.99 per month. 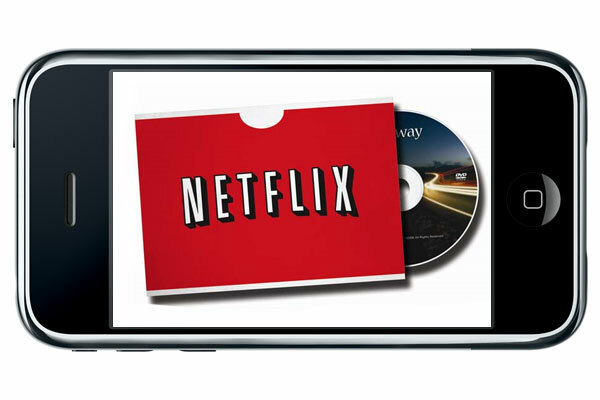 You need to be a Netflix member to use the app to watch movies and TV shows on your iPhone or iPod Touch. 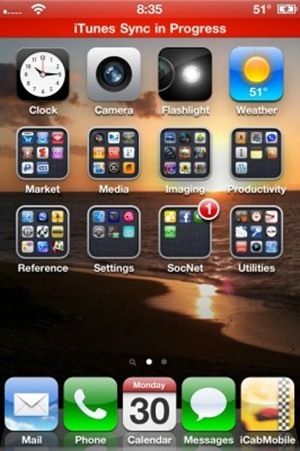 Lockdown Pro, a jailbreak app, gives you the ability to password protect your iPhone apps. It is compatible with iOS 4 or later. It is not free and if you want it your pockets will be lighter by $1.99. It is available on Cydia and Rock Your Phone store. The creator of Lockdown Pro is ipodtouchmaster who had previously released Lockdown for iOS 3. If you’re looking for the perfect app to use while you are in the bathroom, you’ll be relieved to hear about this gem. The 99 cent app was conceived by CeilingHouse and functions as a social network for poo-ers worldwide, and includes enough features to keep you on the edge of your seat. It’s very simple to create an account; all you have to do is edit your Poofile with your desired username. (That one is not a pun) Thankfully, it doesn’t require any personal information, though you can connect it to your Facebook and Twitteraccount if you feel daring. Our impressions after the jump. Play More Limited’s MPad allows you to use your iPhone as a controller for the corresponding games on the iPad. As of Today, only 2 games have been released – Snake and Plane, but a third, “Fish”, is coming soon. Both are modern takes on the classic arcade games Snake and Asteroids, complete with bright colors and effects. You only pay for the MPad controller app, which is 99 cents, and you’re promised unlimited free iPad games.